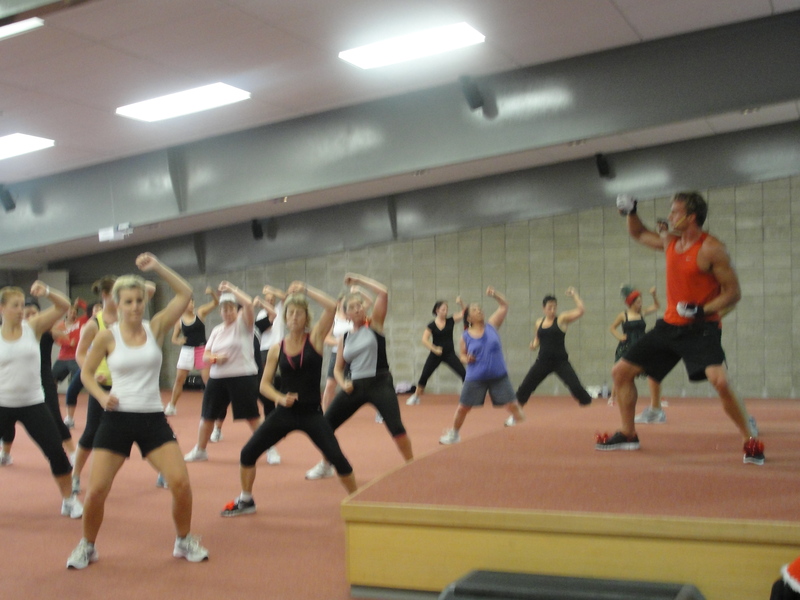 Okay – I originally wrote this post almost 4 months ago (Ironically I’ve been able to publish a post on BODYCOMBAT 43 before I was able to post this one!) but was asked not to post it until after the first NZ workshop (which was last weekend so here it is!) As such the tracks below were just from memory – obviously now we have the actual tracklist (and some of the tracks are covers or different mixes to the links – so use the actual tracklist post for track info). I’ve now got the DVD and have actually started learning the release so I’ll be able to post a proper review shortly – however, here are my comments based on my original thoughts almost 4 months ago. Enjoy! Well I’m back from from a crazy couple days in Auckland attending the filmings for BODYCOMBAT 42, BODYPUMP 72 and BODYATTACK 67. I’ve already had a tonne of messages on facebook asking me for the goss (absolutely feel free to add me if you haven’t already), but before I begin I just wanna make a couple points. Previously LM have asked me not to disclose any info from the trials prior to the filmings, and of course I’m more than happy to oblige. As I’ve mentioned in the past before I could make the filmings I used to eagerly search the net for news on upcoming releases and loved every piece of info I could get. 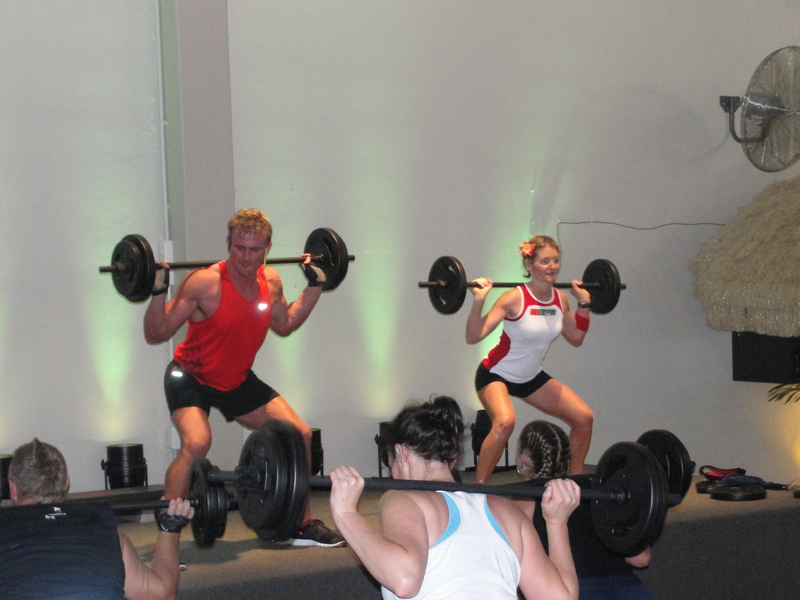 I spend a lot of time writing this stuff because I love Les Mills programmes and love the idea that this info could possibly inspire, motivate or excite others as to what to expect… and from the feedback I’ve been getting this seems to be the case! But, of course if anyone from LMI does read this and wants me to make some changes please let me know. The other this I wanna say is just to remind you that this is all from memory so I make no guarantees as to its accuracy (although I am fairly confident I’m on the mark). 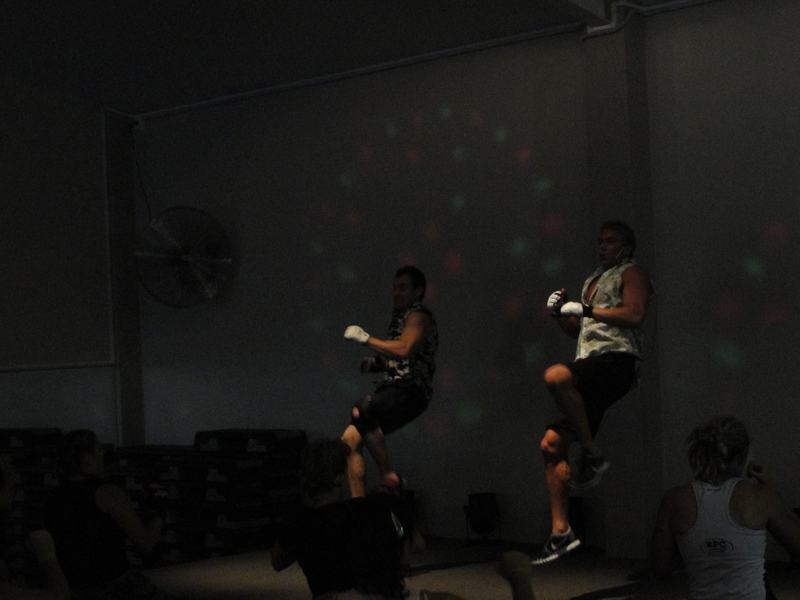 BODYCOMBAT 42 is Muay Thai themed, and the presenters were Dan and Rach (funny that! ), Angel Santiago from USA and Pernilla from Sweden. 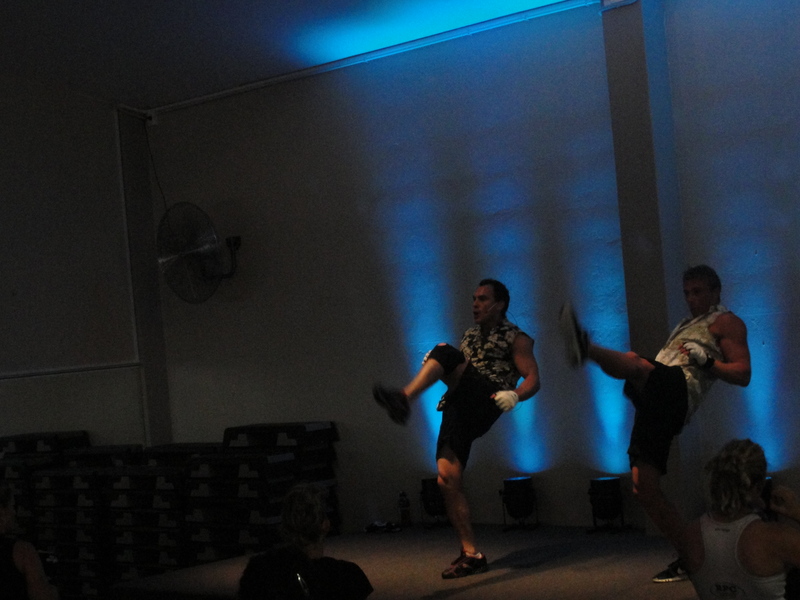 The team were dressed in traditional muay thai shorts and looked absolutely fantastic. Much like the last filming at the GFX Les Mills were really strict on camera usage, so again I’ve taken no pics (don’t wanna upset the big guys!) But, PJ (bless him) took some so check out his blog for images of the outfits. Although the actual theme for the class was Muay Thai kickboxing, Dan challenged us to try to work out the base martial art for each track. So some of them are boxing based, some Tae Kwon Do or Karate etc. Read on for more on that. Now, I’ve really impressed myself with my recall of the tracks this release. Unlike BODYCOMBAT 41 a lot of these tracks are top 40 hits (and a lot of them are rock based oddly) – and as I’m a bit of a rock fan (and as I attended a few BC42 trials beforehand) I recognised almost all of them. Some of the tracks are either remixes, or have been sped up but clicking on the links will give you some idea of what to expect. The upper body warm up was a remix of Numb by Linkin Park. Not too much to report here obviously. The lower body warm up was I Do Not Hook Up by Kelly Clarkson. 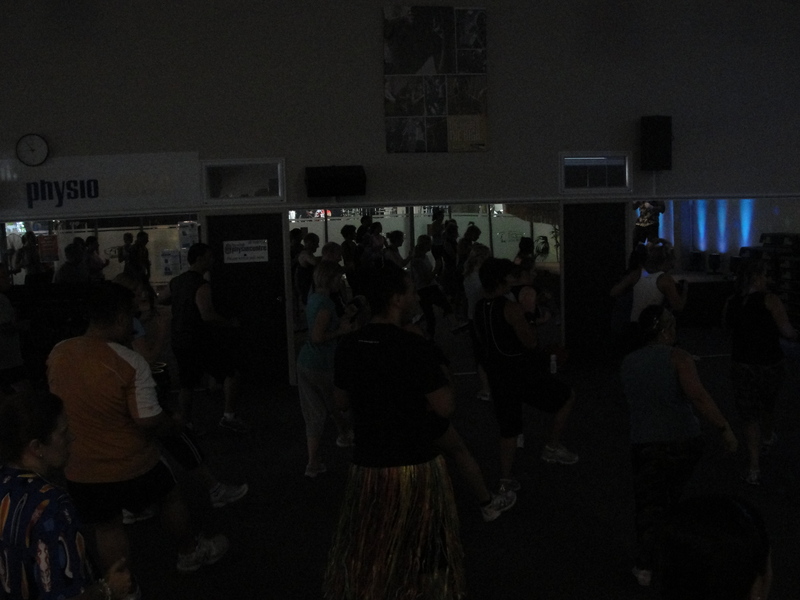 Yes, we’ve got Kelly Clarkson as the lower body warm up in both BC41 and BC42! Who woulda thunk it! Something else interesting was that (as far as I can recall) the only side kicks in the entire release were in the warm up. 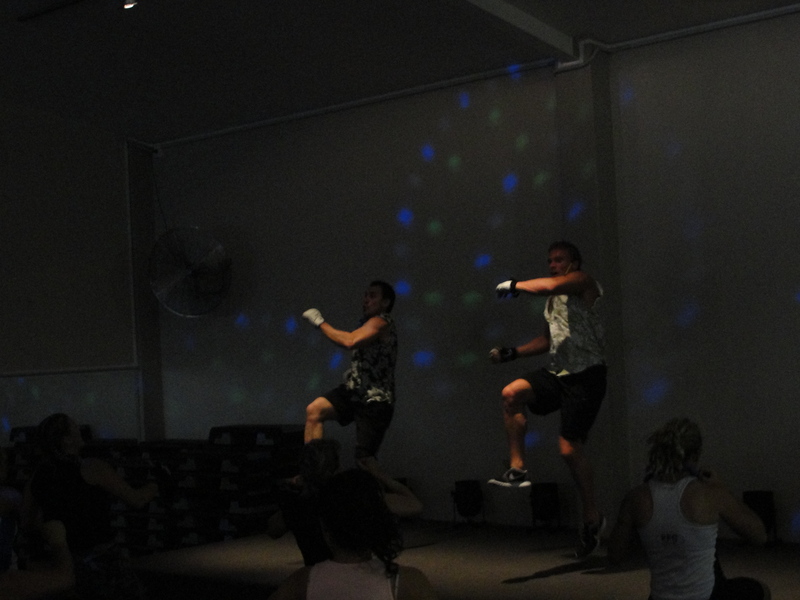 Now this could be because you don’t often see a side kick in muay thai kickboxing (side kicks feature strongly in Tae Kwon Do and Karate) – but this was kinda frustrating for me as side kicks are my favourite move! (10+ years of TKD and Karate will do that to you!) The other thing (and I could be wrong) I’m almost certain there was not a single back kick in this release. Not one! So BC42 features a grand total of 8 side kicks and zero back kicks. Weird huh?! Combat 1 was a Scooter cover of I Was Made For Loving You Baby by Kiss (thanks Andreas for this info!). This was a fun track that was rooted in TKD and Karate (hmmm no wonder I liked it!) It had a karate inner forearm block/cross combo and a backfist/roundhouse combo before building into a full combo that combined the lot. 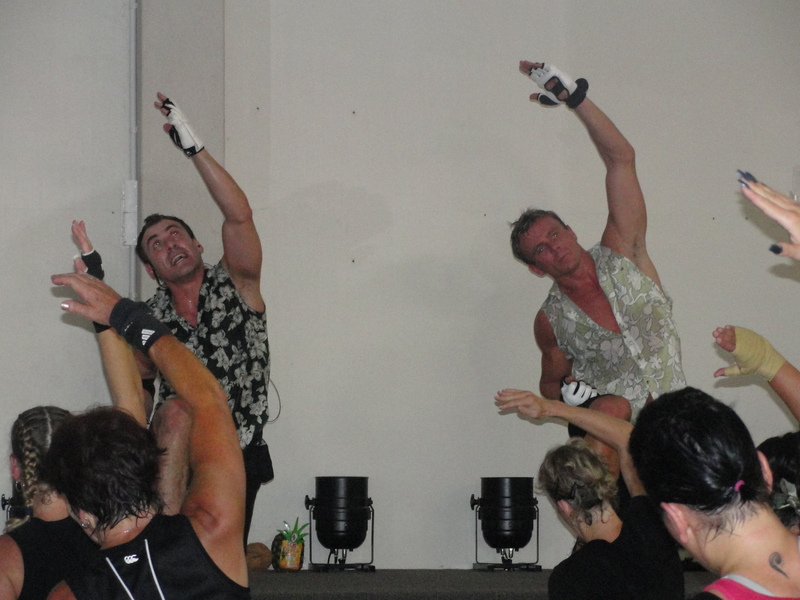 Power Training 1 was a boxing themed track to Poison by Groove Coverage (remix of Alice Cooper’s original – note version used was much faster than that linked). The chorey built into a really long combo of 8 uppers/4 hooks/8 jab cross/4 hooks – and you repeated this on both sides. This meant the track was a marathon! (but no where near as much of a marathon as the muay thai that’s for sure!) if you thought the combo in Come With Me in BC39 was long then look out! Unlike the last four combat 2’s (from BC38-41) this track is not two tracks combined, but rather the whole thing is to Use Me by Hinder. This track featured a new move called “The Sweep”. It’s exactly as it sounds, you literally sweep your opponent off their feet using your foot/shin. It actually reminded me a lot of a soccer kick with your inside foot – a move that is in BA67. The combo builds into sweep/jab-cross/4 knees/jump kick. 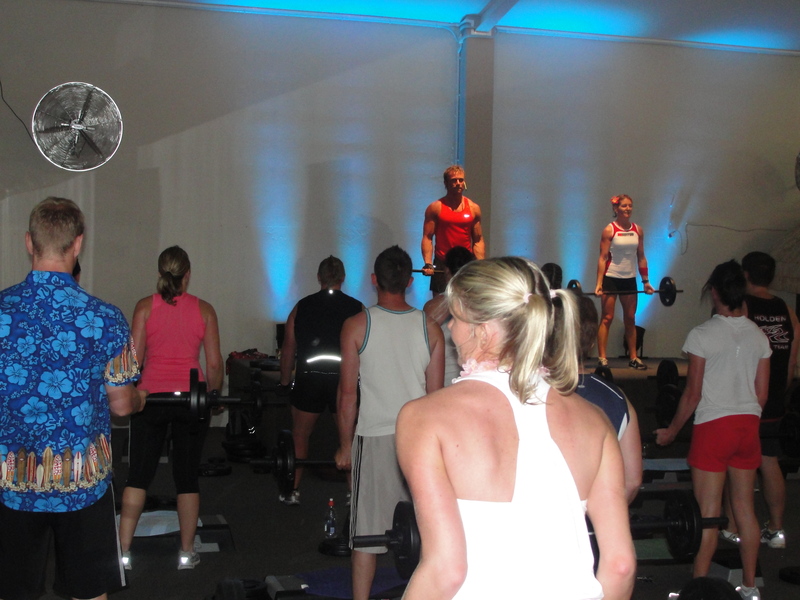 Power training 2 was a split room track to The Anthem by Good Charlotte and I remember being surprised when it was over so quick. It seemed really really short – like barely 3 minutes long! No surprises – jabs, uppers and jump jabs. I also remember being suprised as it felt uneven – I think you do a hook sequence at the end on one side only. 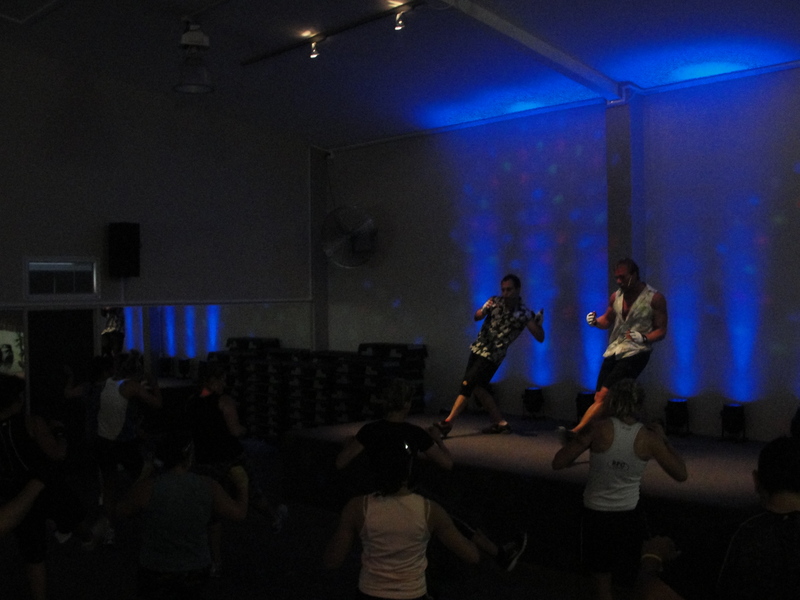 Combat 3 (track 6) was a capeira based leg conditioning track that had a tonne of jingas – in a sequence where you move from around to all four sides of the room. It had the ol’ lunge front kick combo (think No Good from BC38) and also had the esquiva. The emphasis was on staying low and I don’t know if it was just because I’d done pump and attack beforehand or what but boy did this track hurt. My heartrate did drop a tonne but possibly that was the intention due to what was about to come. I wasn’t sure what the track was for this but I’ve since been told it was Warrior’s Dance by The Prodigy. A tough track! 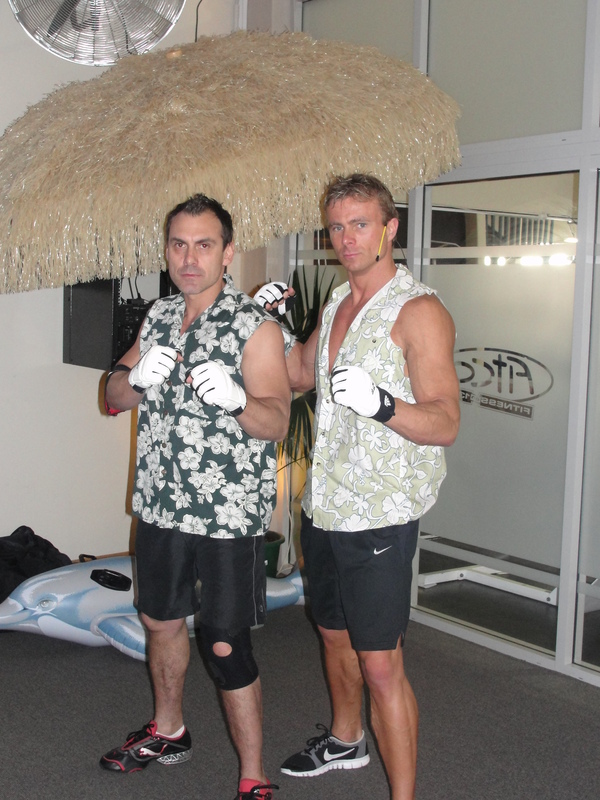 Dan said the Muay Thai was over 8 minutes and man did it feel it – it was an absolute marathon. As far as I could tell was a remix of Excalibur (from BODYCOMBAT 11). 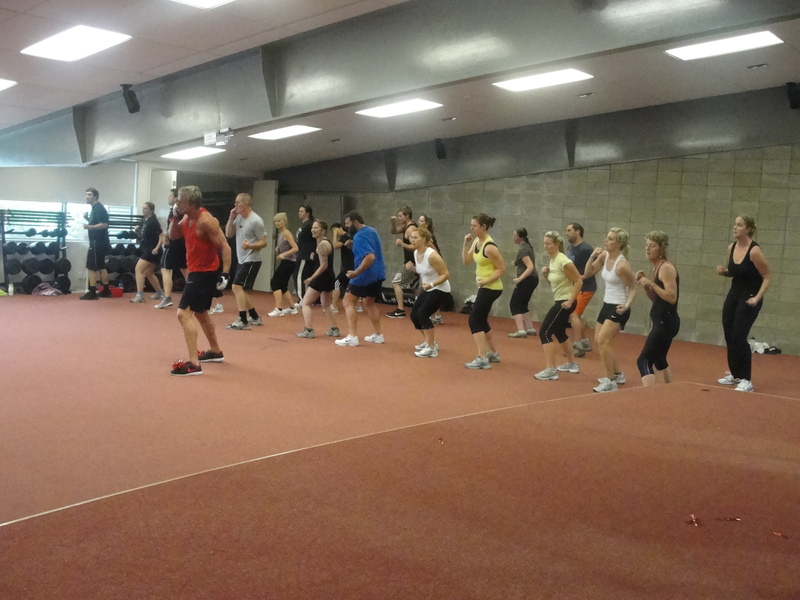 This track also had the plyo push and the push kick (both introduced in BC41). It also had ascending elbows, descending elbows, some muay thai based kata, a tonne of knees and the street brawler downward punch. Let me put it this way – the fricken track is over 8 minutes long it had pretty much everything! 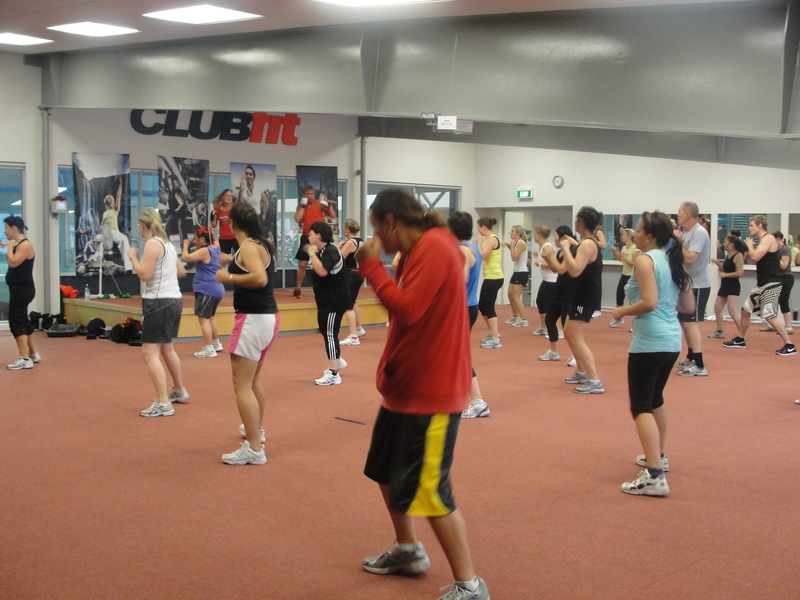 Conditioning featured a tonne of crunches to the tune of Fire Burning by Sean Kingston. 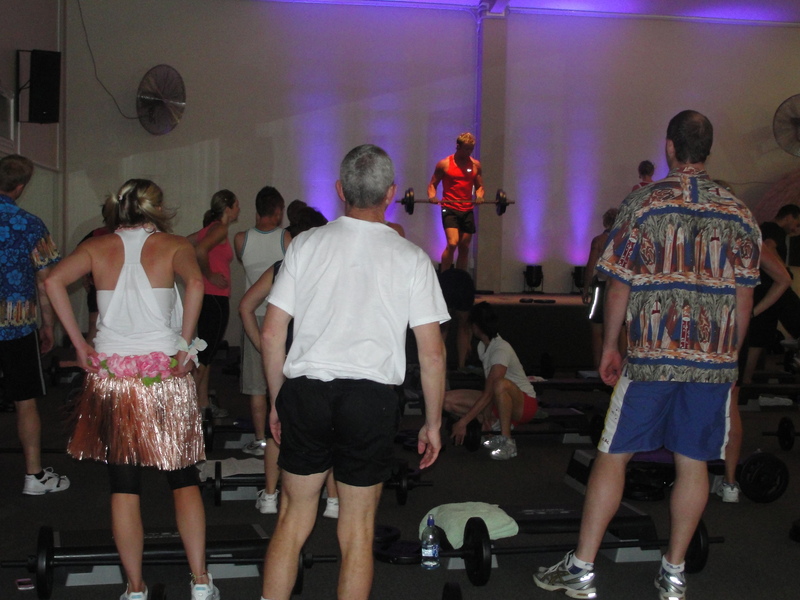 There was also pressups and the plank (or hover depending on what you prefer to call it). Cooldown was an awesome track, Second Chance by Shinedown. Loads of muay thai based kata. If you’ve read my earlier reviews of releases you’d know I’m not a huge fan of a lot of kata in combat, but this track is cool enough to get away with it. 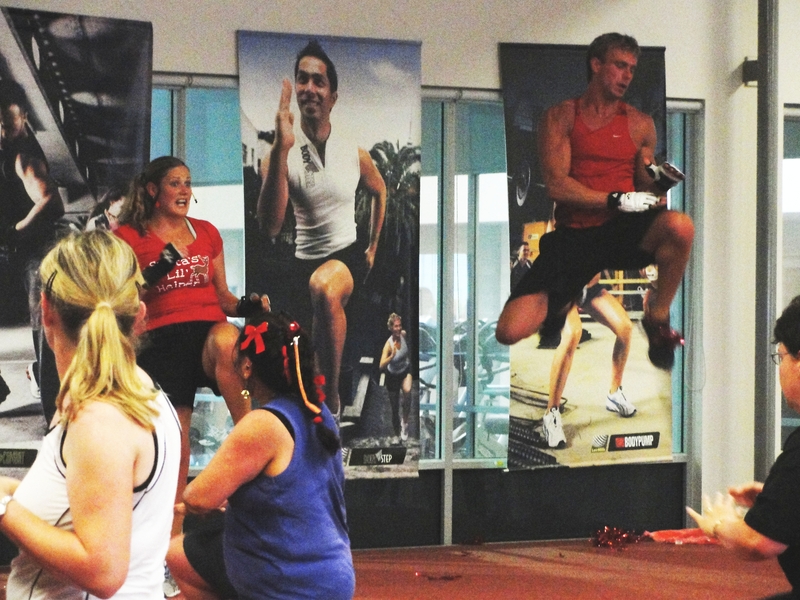 So there you have it… BODYCOMBAT 42! So, the big question – is it any good? Well I’d done it a few times at various trial classes by the time the filming came around so I have given it a fairly decent blast (hence the track recall). But the truth is I’d like to do it a few more times before I can really give it a decent review. I will say this; the day after the filming of BC42 I did Hernan’s class and we ran through almost all of BC41. And I loved it. That’s the only thing about doing the filmings; you don’t get to do the class again until a good 3-4 months later. So maybe I’ll reserve judgement until then. However, I am really excited about the BC41 release in about ten days.